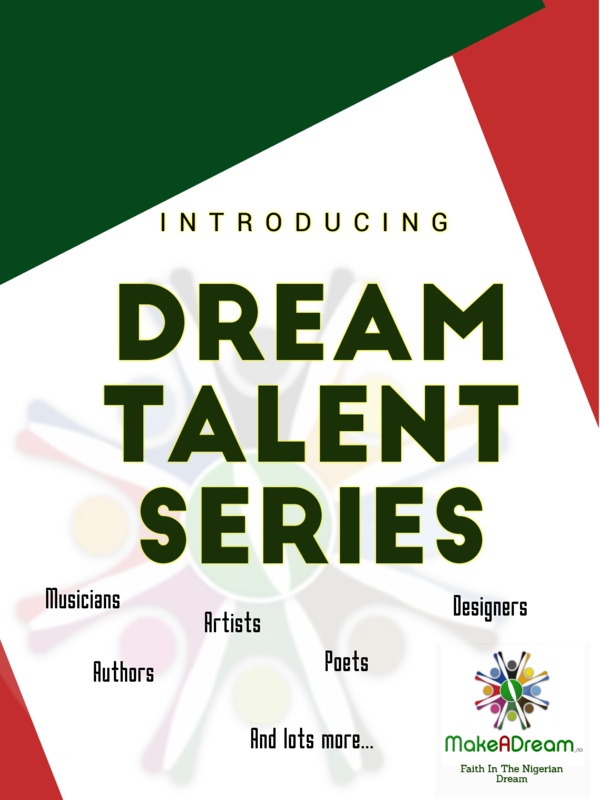 We are glad to introduce to you our Dream Talent Series. In spite of our ailing economy, Nigeria is full of Talents- both celebrated and budding talents from all works of life. On this series, we showcase and create opportunities for both celebrated and upcoming Nigerian Talents, so that someone out there will have the courage to dream again, believe in and work on their talent. Would you like to feature on our Dream Talent Series? Please email us at info@makeadreamng.com for details.